Here’s to those who love us well; may all the rest go straight to hell! to take it away from him. 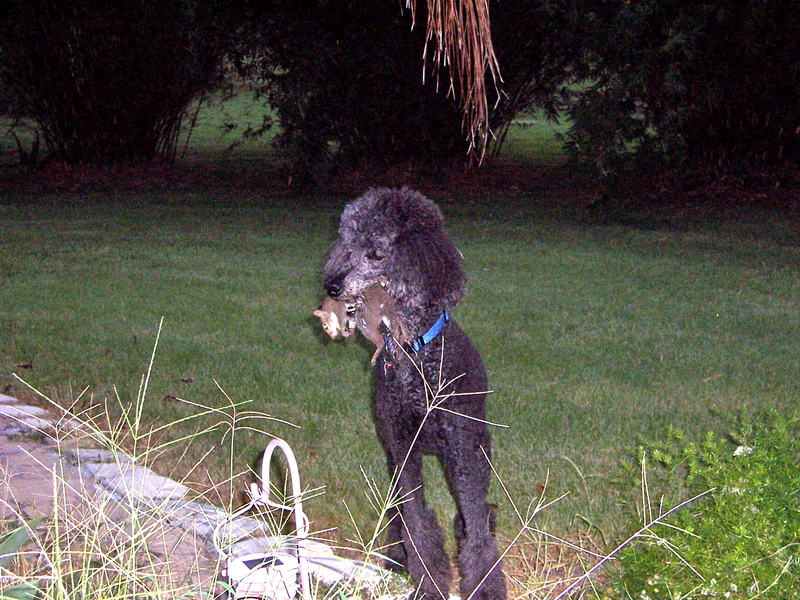 Alflie was an old dog when he finally caught one of the squirrels that had tormented him his whole life. They would come up to our screemed in porch and chatter until he chased them and then up the tree out of his reach they would go. Well, whoever said that every dog has his day, can chalk this up as an example. Alfie, I am so glad that you finally caught your tormentor before you left. how the members of the Republican party seem to use a lot of the same language when talking about anything? That’s because they do. They call them “talking points”. The advantage of “talking points” is that they preclude discussion, cooperation, or eventual compromise which might lead to positive action demanded by the American people. That is how we can have vast majorities of the American people in favor of things like gun safety, gay marriage, addressing global warming, pollution, etc. and have Congress do nothing. And, yes, Democrats are guilty of doing the same thing. It is obvious there are modern politicians who have no interest in doing what is good for the country. Their only interest is in what will fill their own pockets or get them re-elected. They truly exhibit the opposite of JFK’s book “Profiles in Courage”. The vast majority of our Congress truly edihibits profiles in cowardice. I would like to offer a solution, but alas, with gerrymandering, the Supreme Court, and the states trying to destroy the federal government; I am at a loss. Until the American people exercise their right to vote (whoops, that’s right, Republican legislatures across the nation are taking away the right to vote); we won’t see change. I am reminded of another time in our nation’s history when the founding fathers found themselves in a similar situation and wrote these words. Are we at that point? Can our Congress rededicate itself to the purposes outlined in the preamble to the Constitution? Will they ever admit that there is more to the purpose of our government than providing for the common defense? Will the about to be released budget reflect all the goals set by the founding fathers? Or, will the budget focus on providing for the military, whether for common defense or the military industrial complex? We must judge Congress by their actioins, not by their sound bites.